Recently a call to action has been issued to all scientists tied to animal research, proclaiming that it is a duty for them to engage with the public about their work. It is emphasizing that science policy must be based on a public mandate and a mutual understanding between science and society. But the concern is also pragmatic — scientists must be able to defend research that they consider valuable, in particular because there is a growing imbalance in the knowledge available to scientists and to the rest of society about animal research. EBC, as a voice aiming at bridging the gap between science and society, has been actively involved in the issue of use of animals in scientific research. 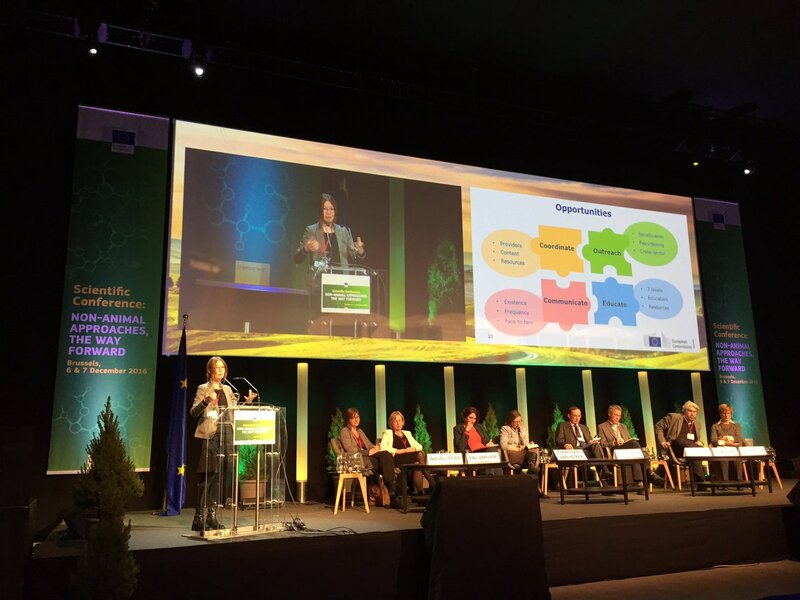 The latest engagement came with participating in a scientific conference “Non-Animal Approaches – The Way Forward” organized by the European Commission in Brussels in 6-7 December 2016. The aim of the event was to engage the scientific community and relevant stakeholders in a debate on how to exploit cutting edge advances in biomedical and other research in the development of scientifically valid non-animal approaches. This multi-stakeholder dialogue has been a valuable step in addressing pressing issues facing the biomedical community and the use of animals in research. It helped to identify actions for each sector (funders, scientists, publishers and regulatory authorities) which, combined with legislation, offer the possibility of delivering the optimal balance of animal welfare with societal and scientific benefits while continuing to pursue the ultimate goal of phasing out animal research, in keeping with European Directive 2010/63. We are now looking forward to a publication of the conference report that will be the next step in the common effort to continually incentivise responsible research to advance human and animal health in the EU and globally and to maintaining Europe’s leading role in that endeavour.